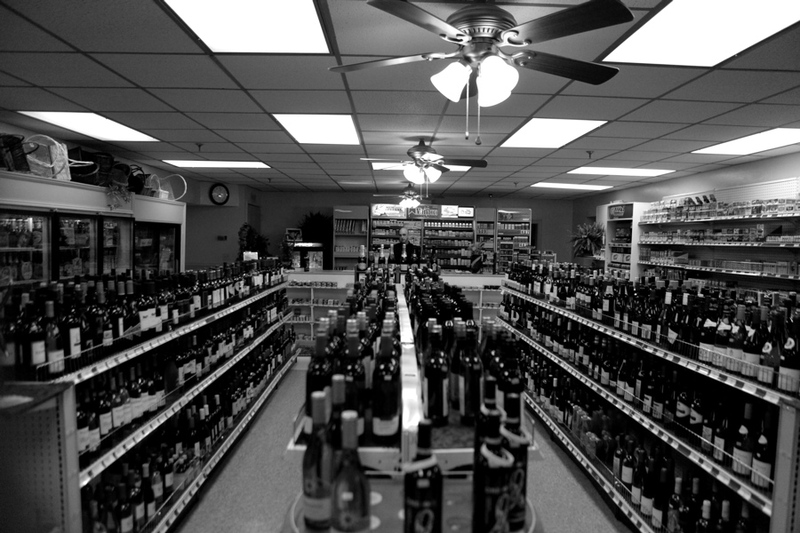 First and foremost, the majority of the store is dedicated to wine. His decision to stock roughly the same number of wine brands as the number of residents in downtown proper (give or take a several hundred) seems like a bit of a gamble, at least at first. One local restaurateur noted that until now, those living downtown had to go to Cameron Village for wine, a solid mile or two away from the various condos such as RBC Plaza. This means driving for the vast majority of folks, which is contrary to one of the benefits of urban living (destinations within walking distance). While most people (for now) are patronizing Taz’s newest store as a take-away consumer, he’s making great efforts to draw business that sits and stays a while. One of the ways he does this is with wine tastings, advertised in the photo above. 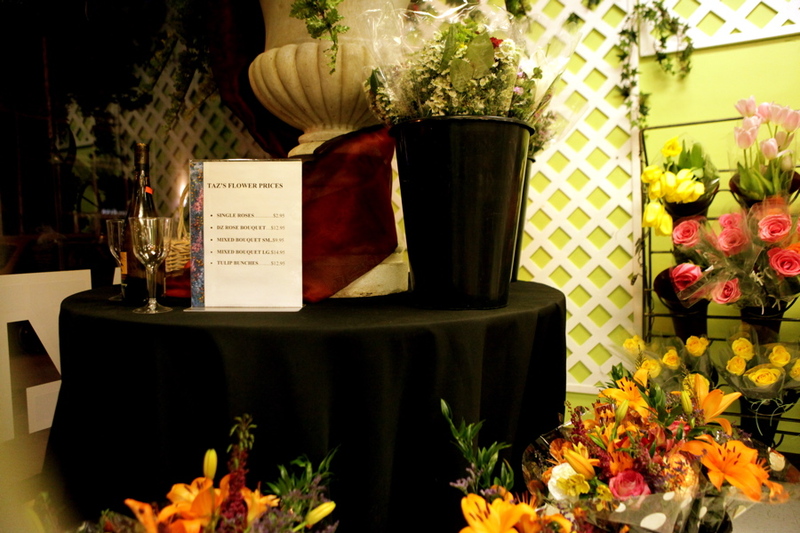 Wine, flowers, and greeting cards are significant symbols of affection and relationships. It’s a unique combination of retail items he’s making available, but not the final chapter. 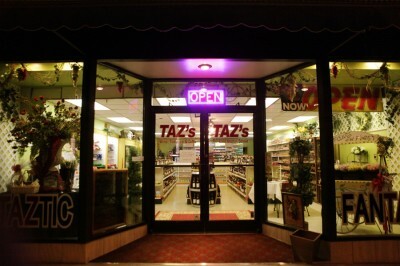 Taz is driven, organized, and has very specific plans for both the short and long term. The next and perhaps (for now) final piece in his retail puzzle will be a market to get cheeses and meats, sandwiches, and the like. It won’t be terribly soon, though. He wants to ensure the newest venture is successful before expanding. 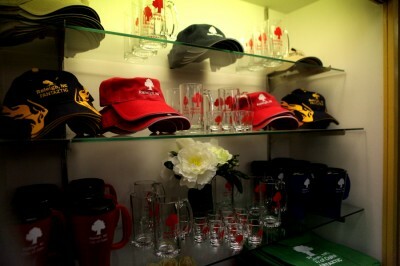 Another significant yet overlooked set of products available for sale are the various gift-store items, such as the Raleigh-emblazoned hats, mugs, and glasses above. As much as I love the city I live in, “tourism” is not a word I put in the same sentence with “Raleigh”. It’s an interesting development. Anthony, one of the staff members noted: “You’ve gotta have something for the tourists”. Perhaps events such as the motorcycle event last weekend are drawing in visitors from out of the area to Raleigh as a destination. This is one of my favorite street-level views of downtown. To the left, you have the gorgeous 1870s storefronts on the 300 block of Wilmington Street. To the right, the tallest building in Raleigh. The best part, though, is the wine itself. 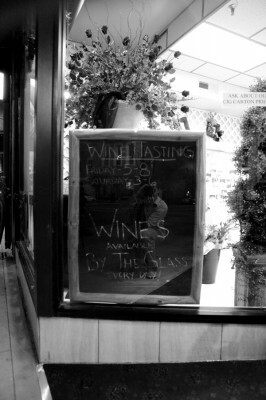 There are four wines by glass available, usually two reds and two whites. All are five dollars a glass and come with a free plate such as the one above; including cheeses, strawberries, grapes, crackers, and chocolate. I must admit that I’ve made this plate (or a couple of them) my dinner on at least two occasions since opening. It is easily the best deal in town on a glass of wine. (The half-price bottles of wine at Cafe Helios are probably a close second). The staff are unbelievably friendly and accommodating. You can tell they are very enthusiastic about what the store represents, and make great efforts to make your experience a pleasant one. 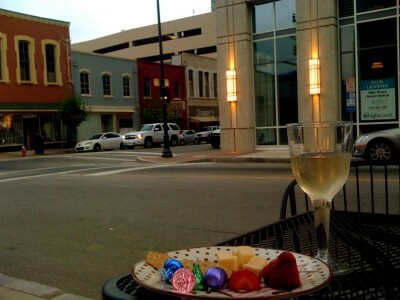 Stop by the new store and enjoy an affordable glass of wine outside with a great view. I’m excited about this and I am a fan of Mr. Taz. But Seaboard Wine is also great and I consider it to be downtown. While it’s hard for us locals to think about Raleigh as a “capital-T” tourism destination, we are for a lot of people, and especially in the context of the new convention center. Tried it out last night! If it had been warm enough, we would have sat outside. Anthony put some tables together for a group of us inside, and was at the ready with snacks and wine refills! All seven of us enjoyed it.